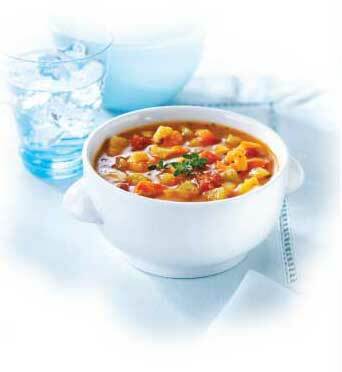 Healthcare | Victory's Kitchen Ltd.
Victory’s Kitchen has reached another milestone in its evolution as a leading, transformative food industry provider with it’s exciting new line of Healthcare Frozen Soups. Produced in its state of the art facility in Toronto, Ontario, Health & Wellness professionals can now source – for the first time – a complete line of Healthcare Soup that not only meet or exceed all nutritional guidelines, but that also taste great and promote the movement toward “field to table”. Great taste and great nutrition means patients will feel better, recover faster, and be happier about their healthcare stay. And that means good business for the healthcare provider. The line puts into practice the company’s belief that “eating healthy” can also mean eating well. To provide even more flexibility, the VK Healthcare line of frozen soup selection also has the ability to shift with the seasons, offering seasonal locally grown fresh produce. Healthcare professionals can now enjoy providing their clients with the freshest, most nutritious foods, as well as the knowledge that their food choices are supporting environmentally sustainable local agricultural economy. Today’s business climate demands great value, and VK Healthcare delivers. Priced aggressively to win not just the hearts of healthcare professionals but also the financial needs of healthcare purchasers, the line of VK Healthcare soups affords the professional purchaser with the attractive margins and profits they need to win business and improve their bottom line. Taste, low cost, convenience, the line of VK Healthcare Soups has it all.